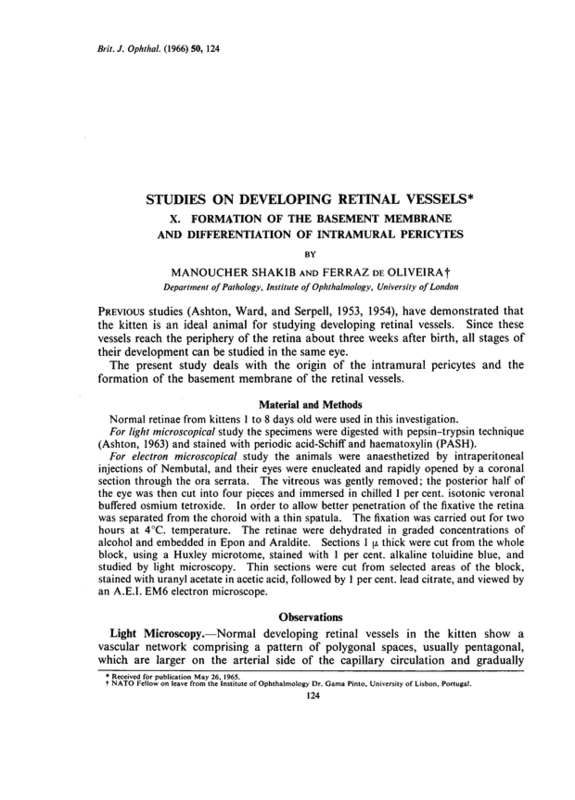 Studies on developing retinal vessels. X. Formation of the basement membrane and differentiation of intramural pericytes.